EVE Online: Ascension is live! Dust off your old accounts or hop in and create a brand new shiny one – from now on EVE is free to play! Welcome to EVE: Ascension. The largest and most significant update in the history of EVE Online, Ascension brings a new access paradigm to EVE Online that allows pilots to play for free. The headline feature of EVE Online: Ascension, Clone States, brings free access to EVE Online in the form of Alpha Clones, using a pre-determined skillset, giving access to a whole host of playstyles and in-game content without the need for a subscription. In addition to this, the first phase of a completely re-worked new player experience, Inception, will offer new pilots more assistance and guidance than ever before as they take their first steps into the vast expanse of New Eden. Engineering Complexes, a new set of colossal industrial structures, are set to fundamentally change the economy and industry game play, alongside a full rework of command boosts, mining foreman revamps, new effects generators for Titans, a rebalance of the Rorqual, new visual feedback and brand new explosion effects, as well as more activity in the asteroid belts of New Eden in the forum of non-capsuleer resource gathering operations. Please be aware that due to the deployment of EVE Online: Ascension, which requires that you accept the new End User License Agreement, all pilots will need to sign in via SSO again and re-add their accounts to the EVE Launcher. The EVE Online Launcher will not automatically remove accounts, so some pilots may experience situations where their accounts appear logged in, however when they click the play button for the first time since the deployment, they are signed out and need to log in again. This is normal behavior, and the easiest way to remedy it is to go to your launcher settings and click "forget all accounts" to clear the list of logged in accounts, before signing in to them again. 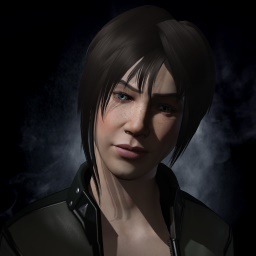 Given the changes that have been deployed with EVE Online: Ascension, pilots using the EVE Portal mobile app will need to remove all characters from their app and re-add them. To remove characters from EVE Portal, simply head to the character switch screen and swipe left on each character to remove them. From here, they can be re-adde via the normal process. Please also be aware to log in to EVE Online after the deployment of the Ascension expansion, you will need to have a verified email address. Please make sure you verify your email address as soon as possible! If you are receiving a prompt for an authentication code but do not have two factor authentication enabled, you will need to check the email address associated with your account in order to retrieve the authentication code. This authentication is to verify that your login attempt is legitimate and will only occur once, unless yourself or someone else tries to log your account in from a different geographical location or a different computer, at which point you will be prompted to enter a code sent to you via email again.